It's that time again: another Virtual runDisney Blog Hop! With only 16 days until Wine & Dine Half Marathon Weekend officially kicks off, be sure to check out all the great posts (by clicking on the icon below) for everything you need to know about "the ultimate runner's night out!" This post will cover transportation. Click here for more Wine & Dine fun! This year will be our fourth trip to Walt Disney World for the Wine & Dine Half Marathon Weekend. 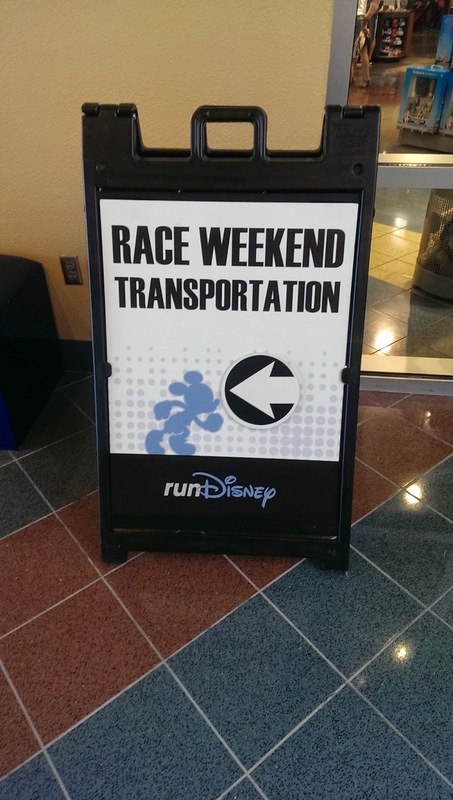 And though I won't be running the half (I might be walking the 5k- waiting on the OK from my doctor), I'll still be utilizing runDisney's FREE transportation to get to all the festivities for race weekend. These host resorts will offer transportation to and from the Health & Fitness Expo at Wide World of Sports (WWOS); to and from the 5k at Animal Kingdom; to and from the start of the half marathon at WWOS; and to and from the half marathon finish/party at Epcot. In the lobby of each of these hotels, look for race transportation signs. They will lead you to the line for the coach buses that will take you wherever you need to go for the race weekend activities. TIP: Try to get on the very front set of seats- they have cup holders! From Host Resorts to Expo: 9:30 a.m. – 6:30 p.m.
From Host Resorts to Expo: 8:30 a.m. – 2:30 p.m.
Transportation from Expo to Host concludes at 3:30 p.m. Families with participants in the Kids Races must board buses no later than 9:00 a.m. in order to make it to their corrals by 9:45 a.m.
Transportation begins at 7:00 p.m. on Saturday and concludes at 4:30 a.m. on Sunday. Transportation will continue throughout the evening for spectators. Finish Line Party admission to Epcot® begins at 7:00 p.m. and a party ticket is required. These schedules are usually also posted in the lobby of host resorts- look for large signs near the "Race Transportation" signs. TIP: Get some sleep when you can! These shuttles leave EARLY! Because the half marathon starts in one location, WWOS, and finishes in another, Epcot, ALL runners (not just people staying at a host resort), will need to take a shuttle to the start. There will be no parking at the start at WWOS. All runners who are driving themselves- or being dropped off- will need to park at Epcot and take a free shuttle to WWOS. Parking at Epcot is free after 6 pm. All parking is free at WWOS and as long as you park before 7 am (for the 5k), parking is free at Animal Kingdom as well. More details on parking can be found here. If you have questions about Wine & Dine Half Marathon Weekend transportation (or just the race in general! ), please don't hesitate to ask with a comment here, send me an email (sarah@sparklyrunner.com), or tweet it to me @sparklyrunner. Happy Running! Who will I see in a few weeks in Walt Disney World?! I'm so excited! As I have said a jillion times to anyone who will lsiten, this is my first race and I am already so excited that I can hardly stand it! I am having some Achilles issues, though, so I am now stuck in the position of modifying my training so that I don't actually prevent myself from participating. I am trying to ice it and back off training since I am pretty sure I can make the distance (the longest I have run is 10 miles, but numerous people have told me that if you can run 10, you can do 13.1). I am taking your advice and dressing as Figment. Oh, you're golden if you can do 10! The last 3.1 will be pure adrenaline :-) Can't wait to meet you!!! That's why Wine & Dine is great- it's at night! No early morning! Feeling jealous that we aren't running the race this year -- here's hoping you get clearance from your doc to walk the 5K! I will be there! This year's Wine & Dine (my 3rd half) is the first anniversary of my 1st half marathon. I have been working all year to improve my race strategy. Last year I ran a 1:1 run/walk interval and this year I'll be running 2:30 to 1. Last year I was in corral J and this year I will be in corral G. I'm ready for a much improved race experience! Great information! I didn't know about all of the parking info you mentioned as I've always stayed in the host resorts and used the free event transportation but this is great to know as I have friends also going with a car! I'll be sure to refer them to this post. Thanks again! I'm glad it was helpful, Tricia! Have a great race! Hi Sarah, Great information but it has brought up a question. 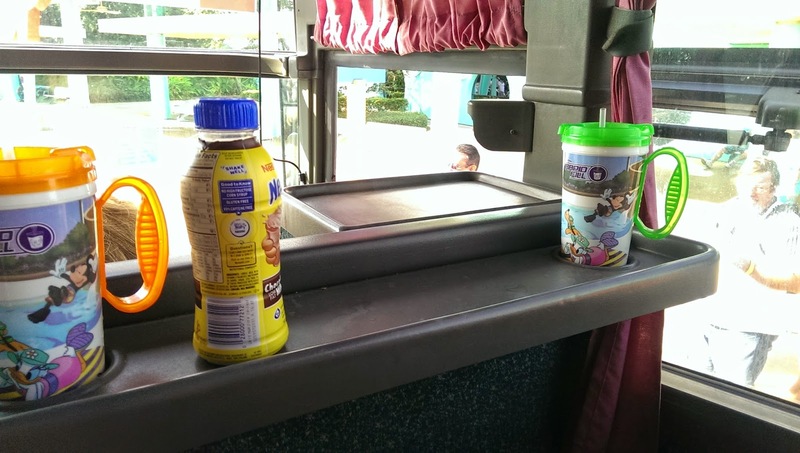 You mention that even if we are being dropped off (we are taking a taxi) we go to Epcot and use the shuttle. I just wanted to confirm. First Disney race or large race of any sort for that matter. Hi Brian! Yes, you will need to be dropped off at Epcot. There will be no drop-off at WWOS. 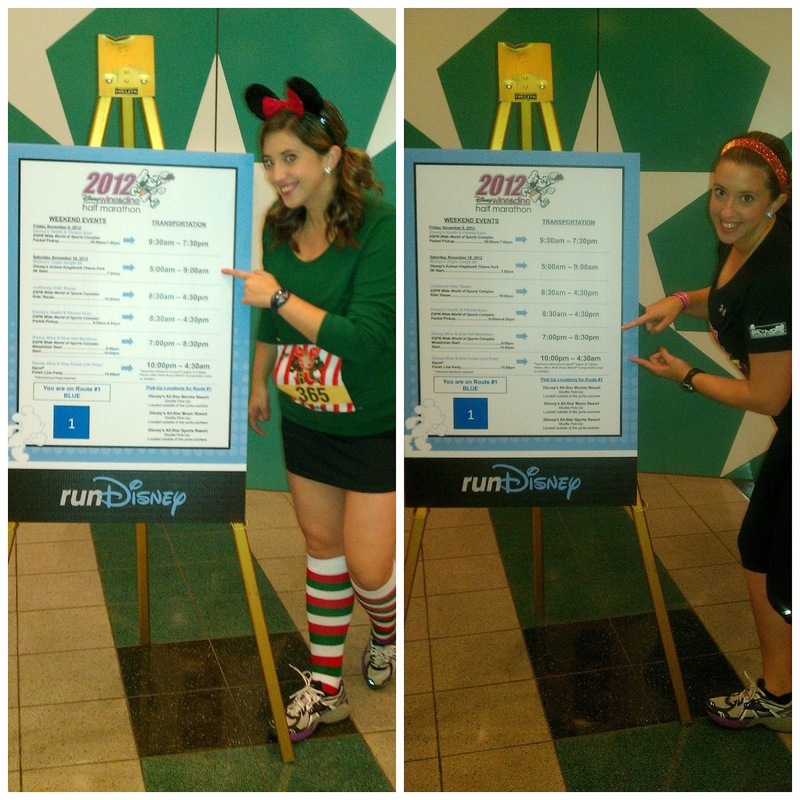 You can find more information here: http://as1.wdpromedia.com/media/rundisney/pdf/wine-dine/2014/W&D14_Program_Online.pdf Good luck at the race! Thank you Sarah... and a Great race to you as well from Nova Scotia via corral H! Brian, have a great race! I'll be cheering this year as I am injured. You will love it! One of the things I love most about this race is the ability to walk (crawl) back to the Epcot Resorts after the Finish Line Party. You are so right to point out that Disney Transportation is pretty seamless at this point. Another bonus for Disney wine & Dine Half Marathon Weekend is no before the dawn bus lines!! Thanks so much for hopping with us again Sarah- we love your experience and perspective! I totally forgot about staying at Epcot resorts! We've never stayed at one before so they slipped my mind! Great point! And yes, no Florida sun during Wine and Dine :-) I love doing these hops- thanks for including me! Do you have to be staying at a HOST resort to use the transportation? Our hotel is very close to one of the HOST resorts and we were hoping to be able to catch one of the buses for the weekend.